Toyota Etios Cross is a handsomely rugged hatchback from the stable of Toyota. Toyota has provided this hatchback with many safety features, including air bags for both the driver and the front passenger. 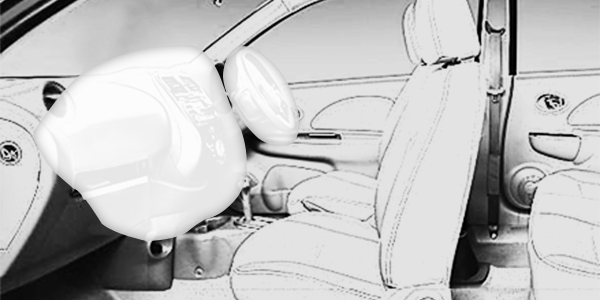 These air bags work in tandem with the seat belt to prevent any injury to the passengers. However, there are no side air bags for either the front row or rear row passengers. This lack of side air bags puts the riders at great risk, if the car roll over during any accident or the impact is to the side of the car. The main competitors of Toyota Etios Cross hatchback in the Indian market are, Honda Brio, Ford Figo, Volkswagen Polo, Hyundai Grand i10 and Maruti Suzuki Swift. All these hatchbacks sports air bags for the driver and the front passenger in their upper level trims. None of them have air bags for the rear passengers. The variants of Toyota Etios Cross that offer airbags as standard include 1.2 X Edition, 1.4 X Edition, G, GD, V, VD.